Proven Kitchen & Bath Studio is a design and build firm, we manage every detail of renovation. You can trust your home is in good hands. Nestled in a restful orchard, this homes hilltop setting produces beautiful lighting throughout. Much like a apple blossom, the white crisp design backdrop of the master bathroom comes to life with soft color pops. Fun pattern play in a field of simple textures lend these spaces to the creation of each restful retreat. A log cabin rested on a hill overlooking a scenic lake. It ached to be a warm, spirited, restful space. The renovation used classic timeless elements and stayed true to the homes country setting. A master gardener asked us for the outside to be brought in. We designed a neutral space to compliment her vibrant color burst and personality. 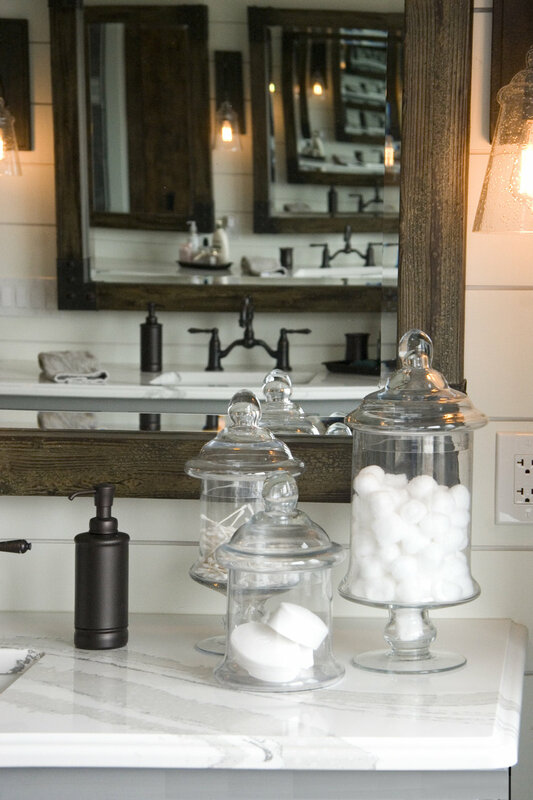 The final space reflected an alive and delicate master bath. This space transformed with a small addition, adding much needed square footage to the kitchen. 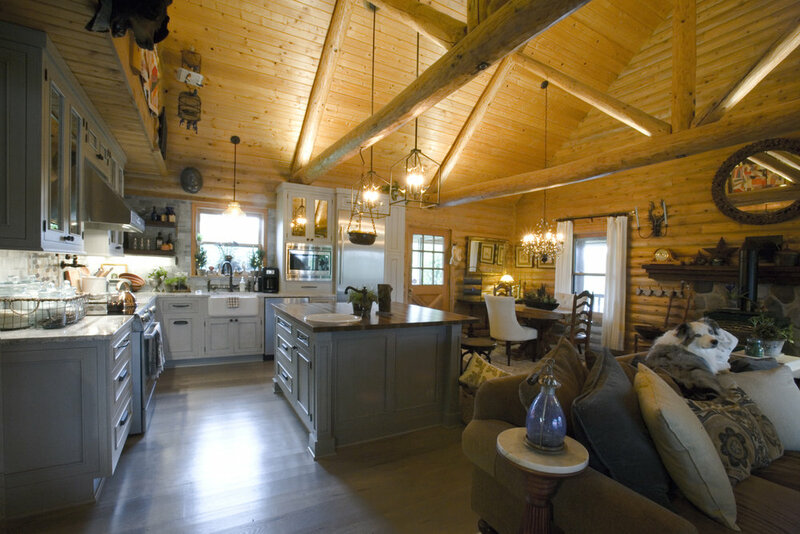 Customized space planning for multiple chefs ensured every family member had a zone. The tones stayed neutral to let the crisp space stay open. The bath was formally updated to coordinate with new look of the home. Marble never looked better than as an accent to chrome. Grey walls and bright white give this master a fabulous feel. A modern respite with tranquil lake views. 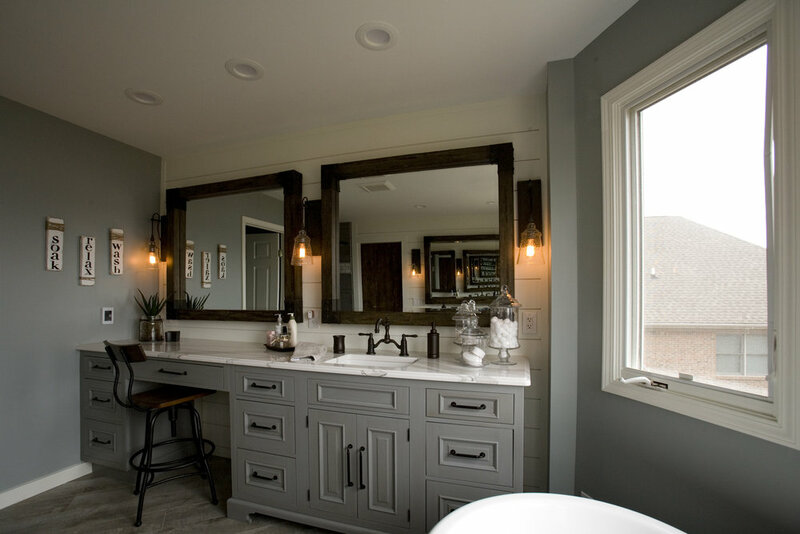 Large over-sized beveled mirrors compliment the rooms polished edges. Curved cabinetry added a radius to an every angle. Simple. Stunning. We brought some character to this home’s serene setting. 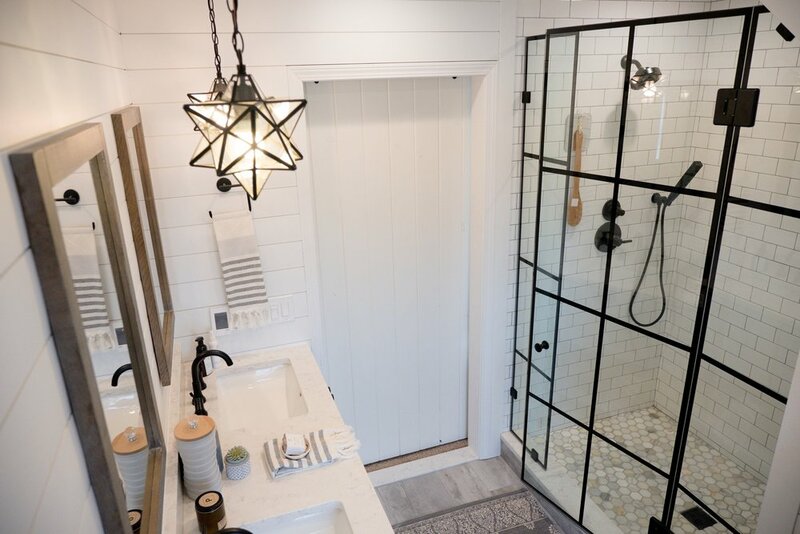 Rustic elements such as a custom barn door made with roofing boards from an 1890s barn, distinct light fixtures, ship-lap walls for texture, chunky mirrors, and natural elements played a part in creating this homes new casual elegance. 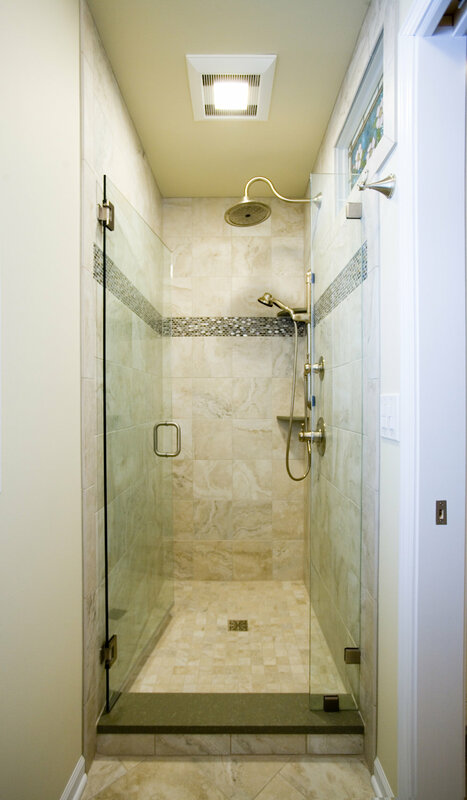 Three bathrooms were renovated, breathing new life into a classic home.